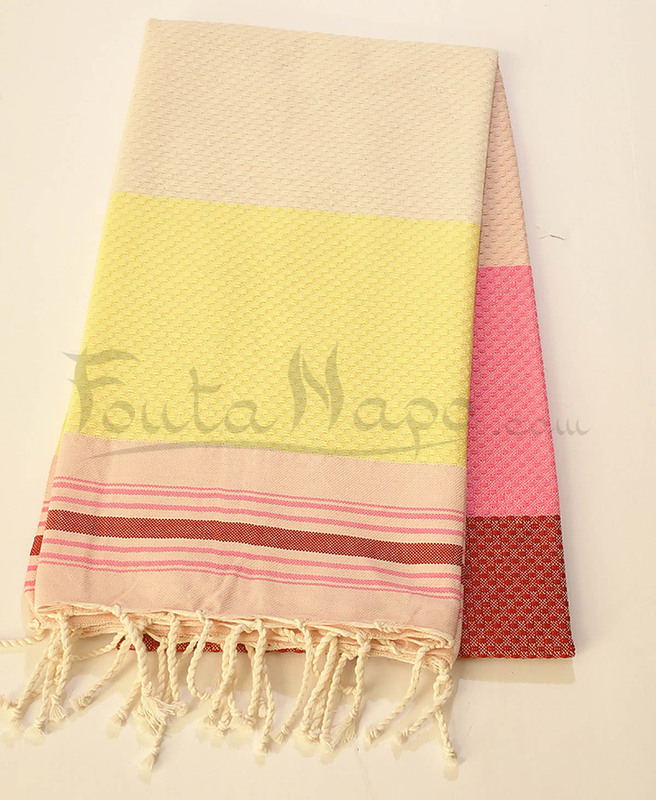 The fouta towel Honeycomb 5 Colors Yellow & Pink is a piece of thin patterned cotton ,originally Tunisian. 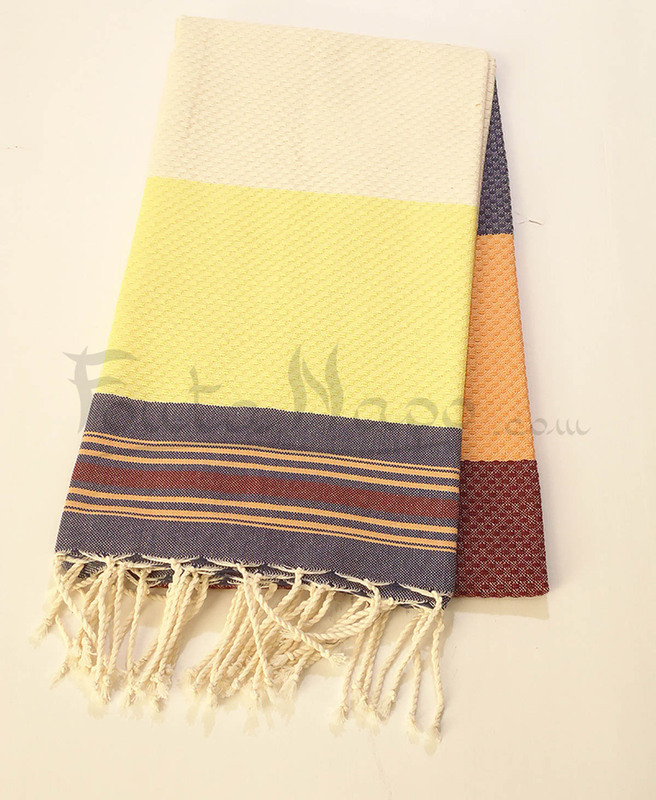 It’s very ideal and perfect at home or for moments of relaxation and in cool evenings of spring and summer. 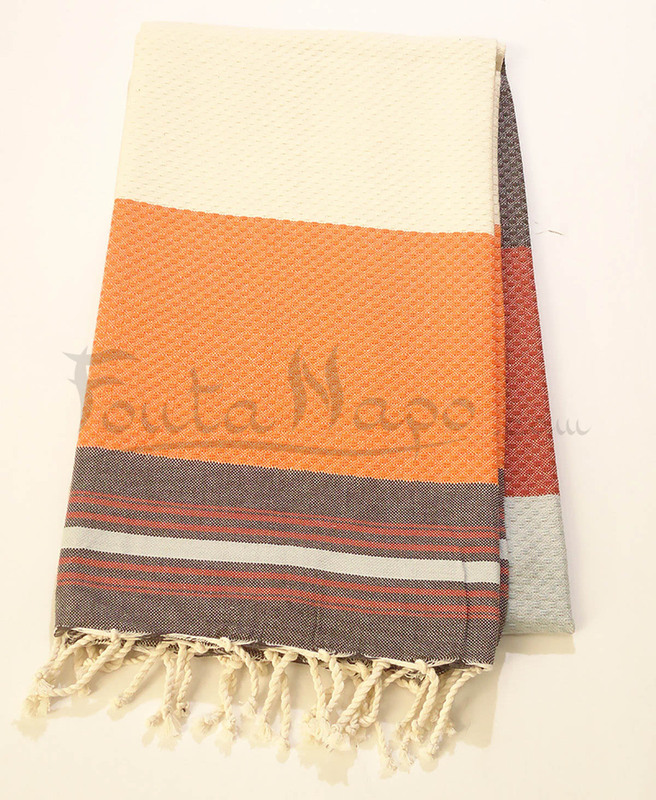 supple, soft and elegant, it has all to seduce you.